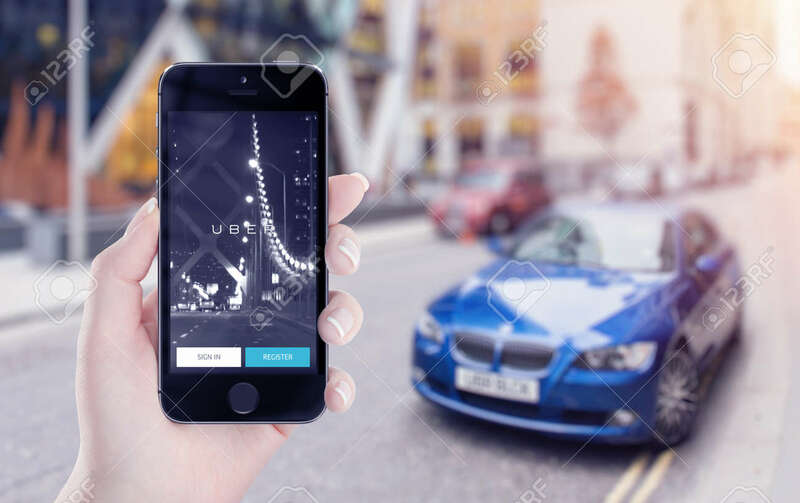 Varna, Bulgaria - May 25, 2015: Uber Application Startup Page.. Stock Photo, Picture And Royalty Free Image. Image 43260446. Stock Photo - Varna, Bulgaria - May 25, 2015: Uber application startup page on the Apple iPhone 5s display in female hand. Blurred street view with car and flare sun light on the background. Varna, Bulgaria - May 25, 2015: Uber application startup page on the Apple iPhone 5s display in female hand. Blurred street view with car and flare sun light on the background.